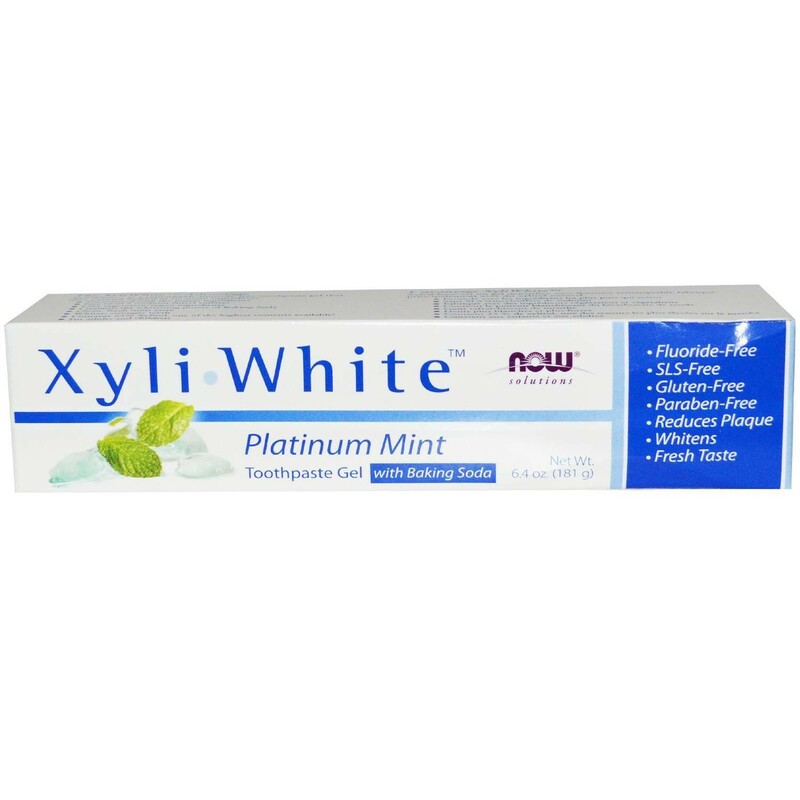 Xyliwhite™ Platinum Mint Toothpaste Gel w/Baking Soda - 6.4 oz. The XyliWhite™ Advantage - Xyliwhite™ is a remarkable fluoride-free toothpaste gel that uses natural Xylitol as its main ingredient. Functional Ingredients: Xylitol (25%), Sodium Bicarbonate (9%) (whitening), Papain (whitening). Ingredients: water, xylitol (25%), hydrated silica, sodium bicarbonate, glycerin, sorbitol, natural mint flavor, peppermint (Mentha piperita) oil, sodium coco-sulfate, carrageenan (Chondrus crispus), papain, tea tree (Melaleuca alternifolia) leaf oil, sodium carbonate, potassium sorbate. Suggested Usage: Adults and children 2 years and older: Apply XyliWhite™ toothpaste gel on to a soft bristle toothbrush. Brush thoroughly after meals, at least twice a day, or as directed by your dentist.